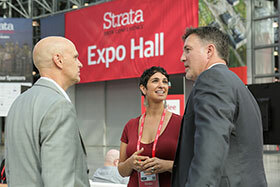 If one of your goals at Strata is to meet new people, this session will jumpstart your networking with fellow attendees. 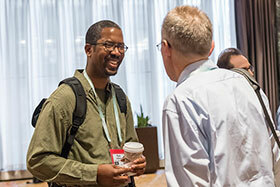 Bring your business cards and prepare a minute of patter about yourself, your projects, and your interests. 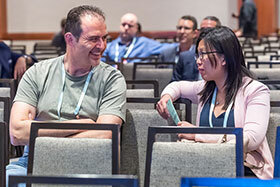 You’ll spend two minutes exchanging cards and information with a fellow attendee. When the chime sounds, you’ll move on to the next attendee. If there’s time at the end, we’ll have an open mix.